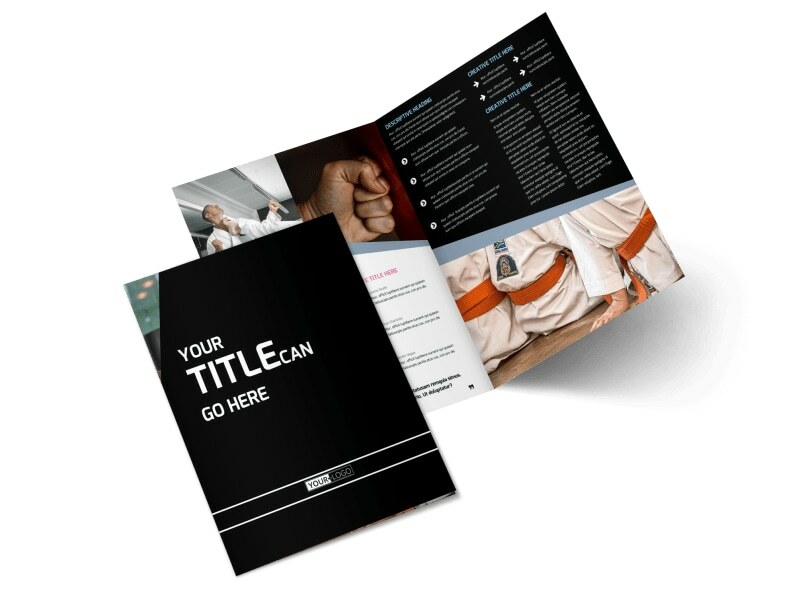 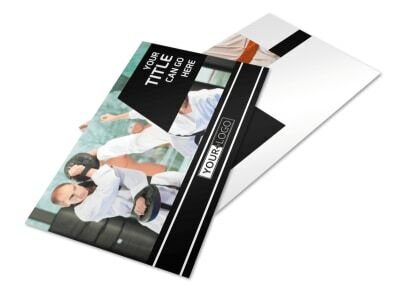 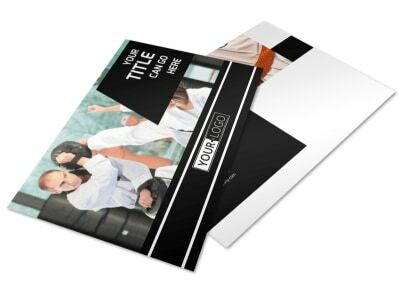 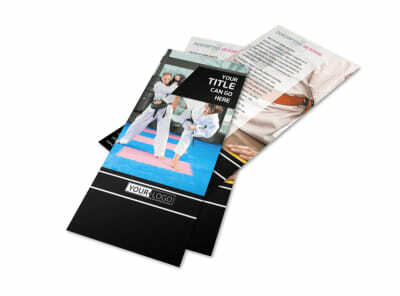 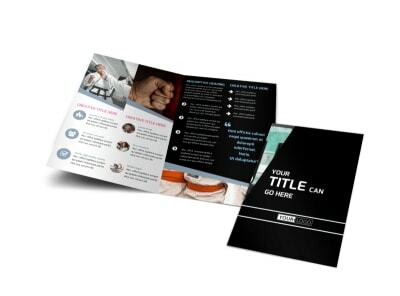 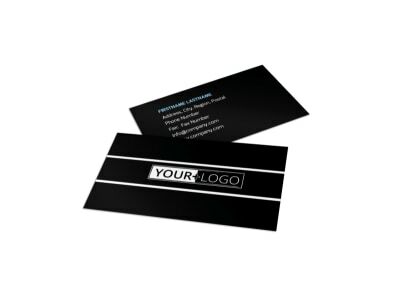 Customize our Martial Arts Brochure Template and more! 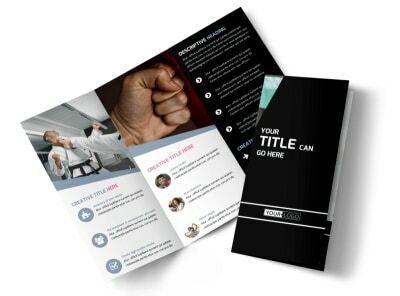 Encourage future “karate kids” to enroll in courses at your studio with a martial arts brochure designed using our online editor. 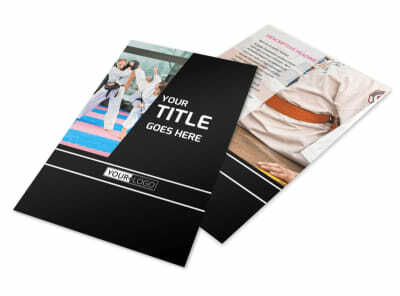 Choose a bifold or trifold template to customize with images of students hard at practice at your martial arts studio, include compelling and informative text detailing the different classes you offer, along with the dates, times, instructors, age requirements and enrollment fees, and wrap it all up with a catchy color theme and other design elements. 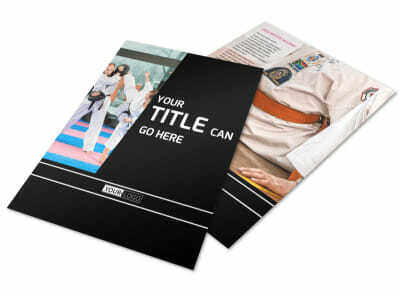 Start designing today so you can get back to instructing students in this ancient art form.